"It is a remarkable story. I was fascinated by it." "It is an exciting blend of adventure, science, and mystisicm." "Beautifully written. Wade Davis puts the search back into research and science back where it belongs -- in the realm of high adventure. An absorbing blend of Journey to Ixtlan and The Double Helix." 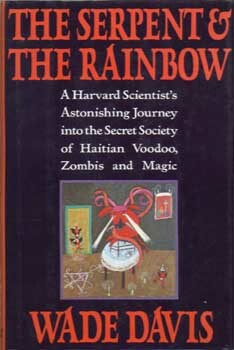 "An interesting report on zombies, voodoo, and the secret societies of Haiti by an adventurous explorer of the botanical, pharmacological, and psychological mysteries of exotic cultures."